Lizette Laserna Salvador, ME&A’s Director of Human Resources, has more than 30 years of both domestic and international experience in the fields of human resources and administration. For over 15 years, she has overseen government contracting activities in the areas of benefits design, broker and vendor negotiation, policies and procedures, project implementation, legal compliance and audit, recruitment, performance management, and employee relations with a number of firms in the international development arena. Before joining ME&A, Ms. Salvador was Director of Human Resources and Administration for the Cloudburst Consulting Group Inc., Management Systems International, and The QED Group among others. In these positions, she was instrumental in building employee confidence in management that led to improved employee relations, diversity, and workflow effectiveness. Ms. Salvador holds a Master’s degree in International Human Resources from Georgetown University in Washington, D.C., and a B.S. in Business Administration from the University of Santo Tomas in the Philippines. She is a member of the Society for Human Resource Management (SHRM), National and Howard County Chapters. 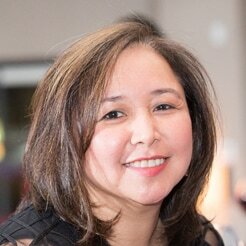 Besides the United States, Ms. Salvador has lived and worked in Canada and the Philippines.